Also known as build-to-order (BTO), is a production approach in which manufacturing starts only after a customer’s order is received. Using your existing make-to-order product, we can help extend or modify the product to extend market share or to develop new market opportunities. We can also help modify products to suit new manufacturing processes or make improvements which can save time or cost. For companies offering many product variations, developing modular products can radically reduce the number of product design that need to be managed which reduces engineering and sales time. Customers will receive information and products quicker and with less errors. For companies that have few product variants, often specific documentation is required by different customers or markets. For example, documents may be required in different languages. Modular documentation can be used to simplify the production of documentation, streamlining the order fulfilment process. Modular documentation may consist of complete documents or modular content. Product configuration provides Sales teams speed and knowledge and can be used to generate documents at the touch of a button. 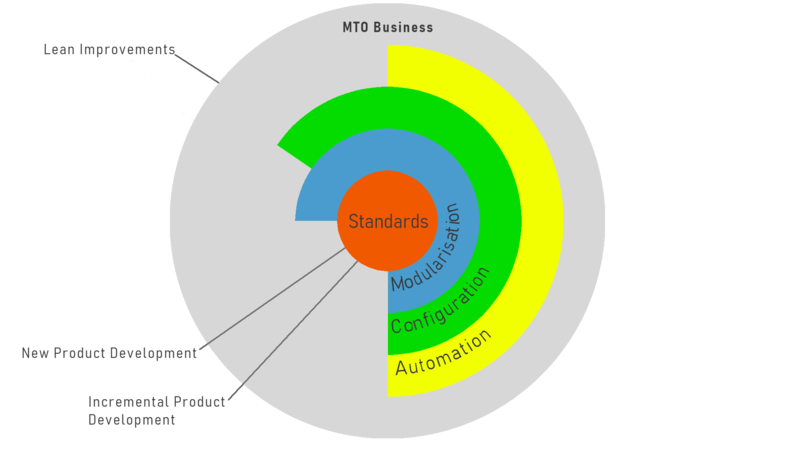 Including product configuration moves a company towards a configure-to-order production model and opens up opportunities for agile manufacturing.